Welcome to Harley-Davidson of Baltimore Service Department. Our knowledgeable service staff is here to repair and maintain your Harley-Davidson®! We service a large area including all of Baltimore, Rossville, Nottingham, Parkville, Carney, Towson, Perry Hall, Edgewood and Dundalk. Mark Brown is really great and the parts department .We purchased 2 motorcycles and had family that purchased 3 all from Mark! He is wonderful! Thank you again! Bought my bike at this dealership, was a perfect experience. I was helped by Justin Knight who listened to exactly what I was looking for and suggested the perfect bike. Communication and help was outstanding. Would 100% buy another bike from them in the future, and would 100% recommend you to do the same if you're looking for a new or used bike. Customer service was perfect! Thanks Justin!!! Ask for mark brown for a great sales experience. Super nice guy and very knowledgeable. He sold me my 2016 forty eight sportster and couldnt be happier. Had a problem with my Street Glide. I wasn’t going to be able to get it there because I was stuck at work all day the next 2 days. Bernie in the Service Dept sent a truck out to my house, picked up my bike, corrected the issue, had it washed, sent it back home all in the span of about 2-3 hours. Bernie always takes great care of me. He is the guy to see if you need service on your Harley. Thanks Bernie, and all the rest of the team at Baltimore Harley Davidson! Worked with Justin K and Shawn R on the best deal in the area on a brand new Fat Bob 114. Even worth driving up to Baltimore from Virginia Beach. Super great staff. Excellent demo riders. Top notch customer service. We’ll definitely be back! 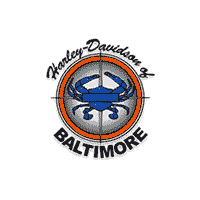 Harley-Davidson of Baltimore is an authorized HARLEY-DAVIDSON® dealership. We carry a large selection of NEW HARLEY-DAVIDSON® INVENTORY, including the new Harley-Davidson 2019 Lineup, as well as USED inventory and have a full SALES, SERVICE, and PARTS department with friendly and experienced staff. Contact us Monday through Saturday for all your motorcycle needs! We area a premier Harley-Davidson dealership in Baltimore, Maryland. Proudly serving customers from Annapolis, Darlington, Laurel, Frederick and the Washington DC area! Contact our internet team for online specials, from our area all the way to Fairfax, Quantico, Gettysburg Pennsylvania and even Philadelphia!